Belgrade? A weekend break? A holiday? 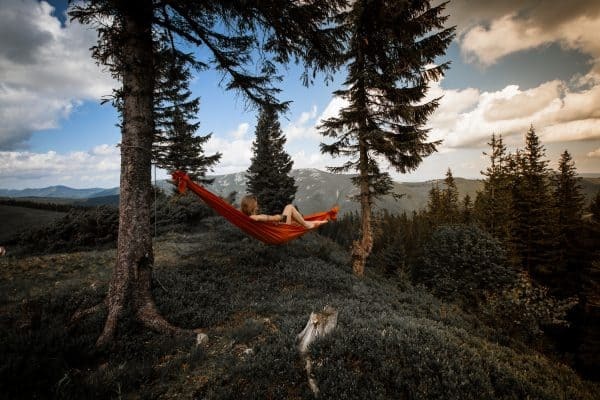 – These question marks appeared on the faces of many people I told I was flying to Belgrade for four days for a holiday. I also had some prejudices in my mental baggage, but all these were completely dispelled by one of the greatest cities I’ve ever been to! 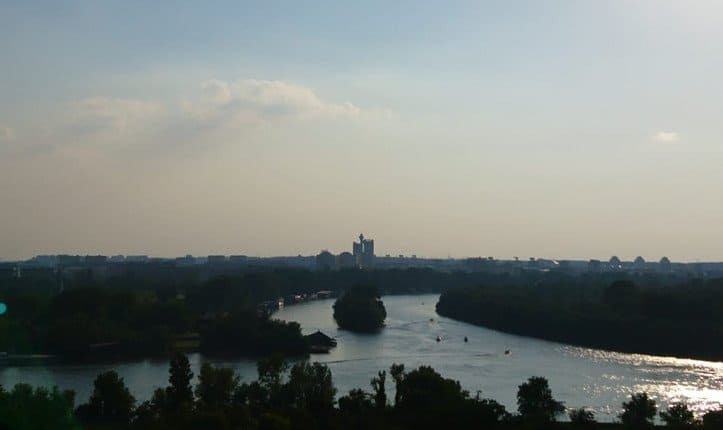 Whether you fly with Austrian Airlines or with the almost cult status airline, Air Serbia, you reach Belgrade within one and a half hours by direct flight from Vienna. The plane is relatively small, so it seats only about 80 people. In row 5 you have a great view of the propellers of the plane and, because of the low altitude, you can see a lot of the landscape. It feels a little bit like travelling back in time to a less modern, but quite charming age. 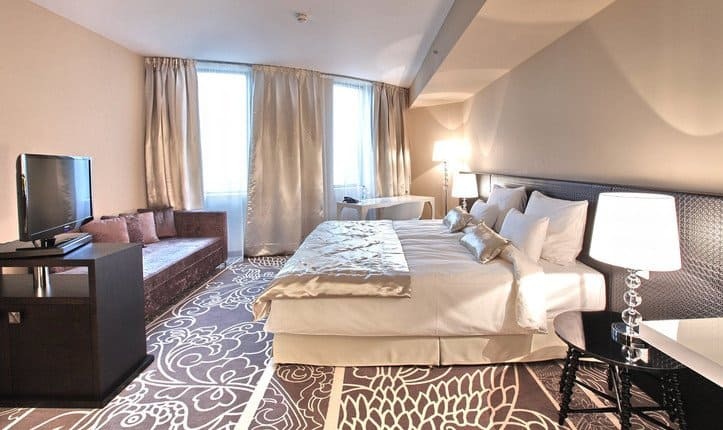 The Falkensteiner Hotel Belgrade was our first destination and the hotel transfer service went smoothly. By the way, I highly recommend this, as some quite intrusive taxi drivers wait for you right after the exit in order to chauffeur tourists at overpriced rates. 20 minutes after getting off the plane we arrived at the hotel and were impressed by the facade and the interior. Somehow the whole hotel has a very modern Balkan flair including velvet and glitter. To Do #2: Walk through the city with your eyes open. After unpacking your suitcases, a light lunch on the terrace and exchanging € 50,- (equivalent to approx. 6.000 Dinar), we went on our first tour through the city. One tip is to definitely walk through the city with your eyes open. 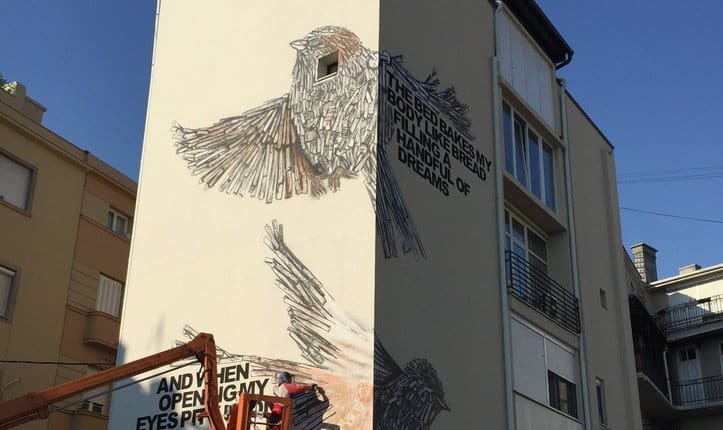 Not because it might be dangerous – on the contrary, everybody is very friendly and speaks good English – but because there are works of art on many walls, i.e. 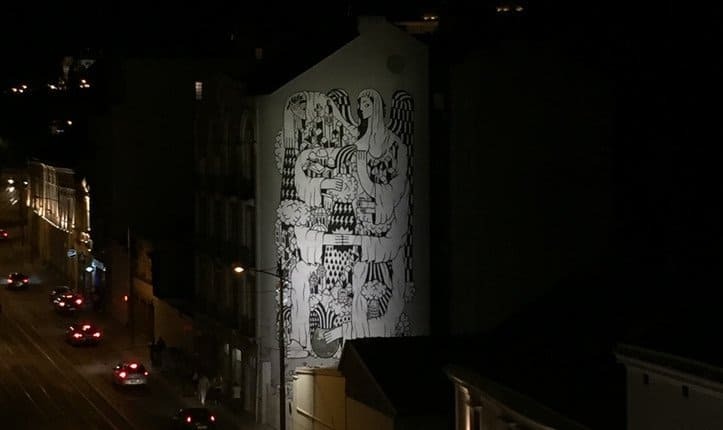 the whole city is covered with graffiti. Belgrade is also a city of contrasts. Besides a few “run-down” (in Berlin we would probably call them “hip”) areas, there are many wide boulevards, small alleys and beautiful, historical buildings. Small gardens and coffee shops are often hidden behind houses. Serbs love to spend the whole day outdoors drinking coffee. Everything here happens a little slower and with “Mediterranean” serenity. To Do #3: Eat, eat and drink. 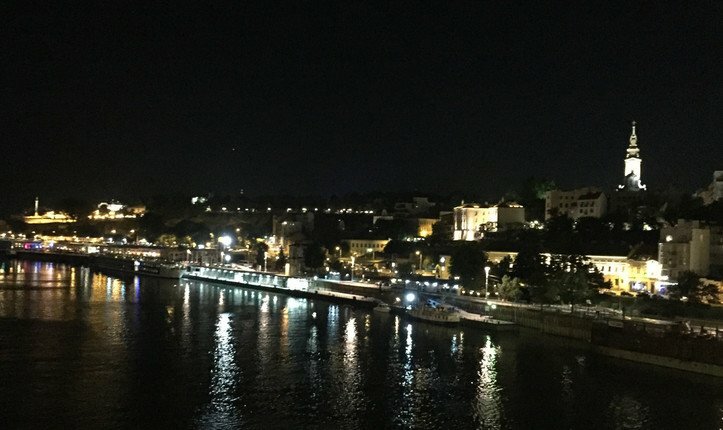 When it gets dark in Belgrade, the restaurants and bars are full. 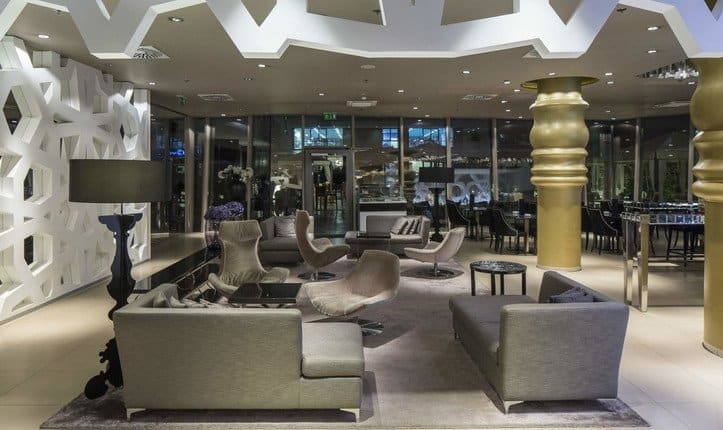 This is certainly not only due to the (by Austrian standards) very reasonable prices, but also to this very special flair of a big city on the water. 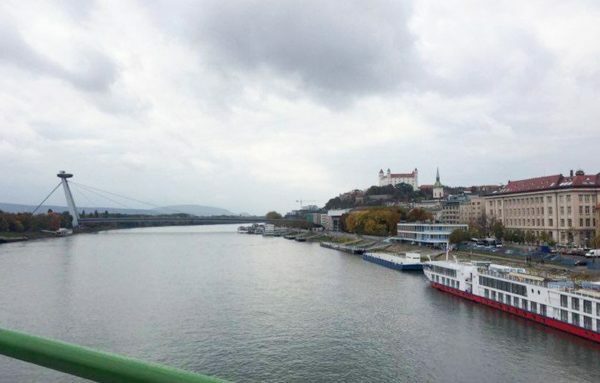 The Danube and the Sava shape the city and a great deal of life takes place on these two rivers. 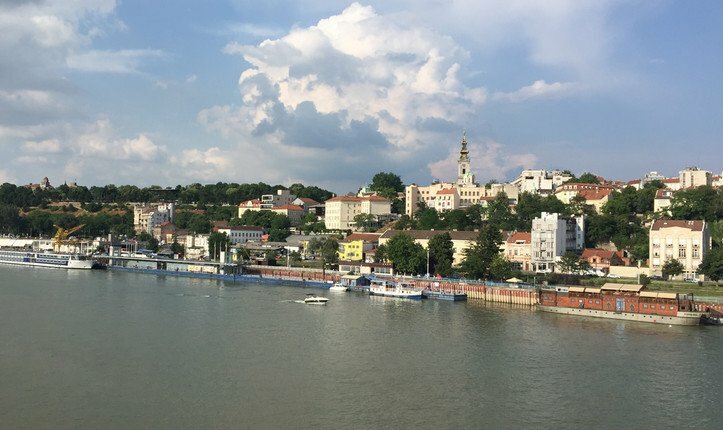 Whether its romantic, small pubs in hidden corners or hip restaurants by the water, in Belgrade you can apparently never get enough food and drink. Right on the Save, on the Karađorđeva, there are many great restaurants like the “Cantina de Frida“ and the “Ambar”. You can gain a few pounds from the traditional Serbian and international cuisine here. To Do #4: Partying on a boat. The Serbs know how to party. 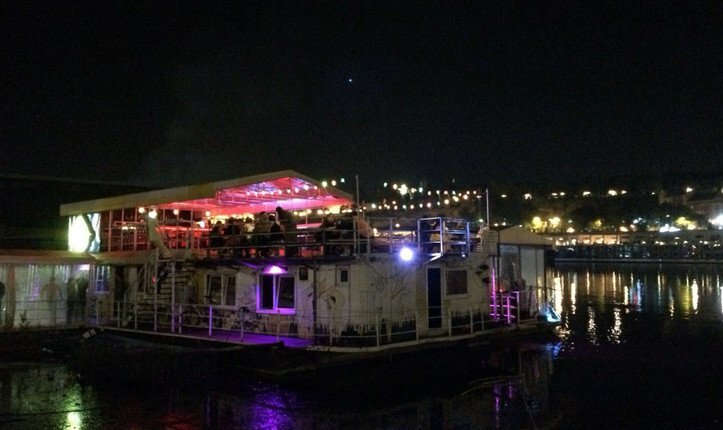 And in Belgrade, you can party on a boat. On the other bank of the Sava, there are about 10 boats that have been converted into party locations. Moreover, from the boats, you have a great view of the old town at night, and while the lights reflect in the water and on the other bank you can see the restaurants, you turn to thinking about where you will go to eat the next evening. To Do #5: Rave to all friends and acquaintances about Belgrade. So there is a lot to discover and experience in Belgrade. And Belgrade does not do live up to the prejudices that some Western Europeans have about the Balkans. 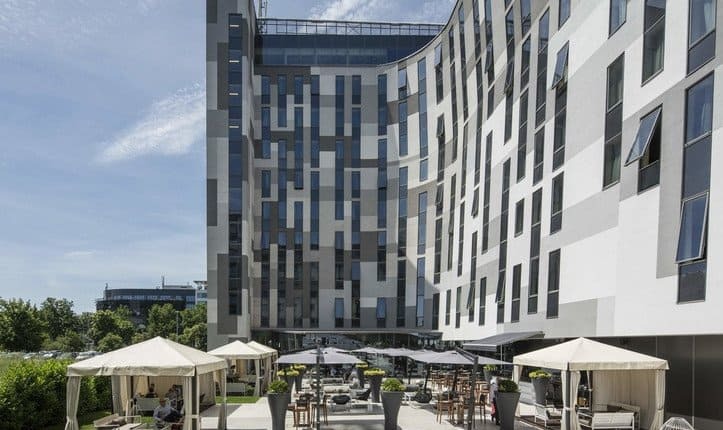 The city is apparently undergoing a transformation and is becoming one of the most vibrant and exciting metropolises in Europe. 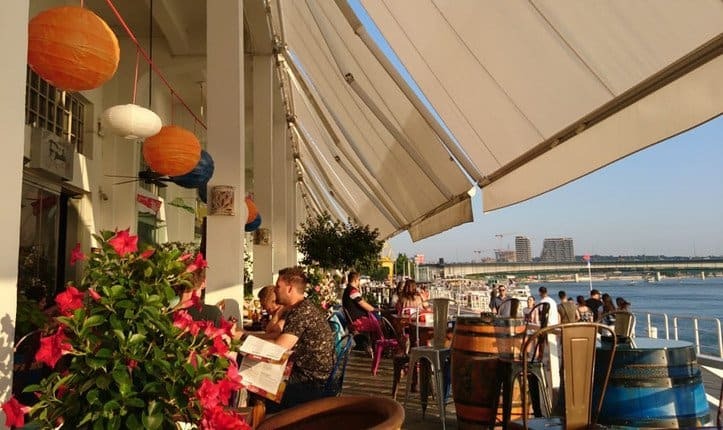 Great, cheap food, friendly and open-minded locals and a good infrastructure mean that Belgrade is catching up with the hot spot cities like Berlin, London or Budapest. A city to remember and worth discovering and loving!